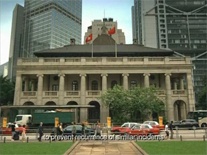 On 22 July 2011, the Government published a consultation paper to consult the public on the arrangements for filling vacancies in the Legislative Council. The public consultation ended on 24 September 2011. Having carefully considered the views received during the consultation perod, the Government published the Consultation Report on Arrangements for Filling Vacancies in the Legislative Council, putting forth the latest proposal. Copies of the Report are available at the District Offices from 27 January 2012. The Report has also been uploaded onto this website.